Jordan Clarke is a Toronto based artist. In addition to appearing in solo and group exhibitions in Ontario and abroad, Jordan’s art has been published in the anthology Other Tongues: Mixed-Race Women Speak Out, edited by Adebe DeRango-Adem and Andrea Thompson. Another of her paintings provided the cover art for A Many-Splendored Thing, poems by Peter Austin. 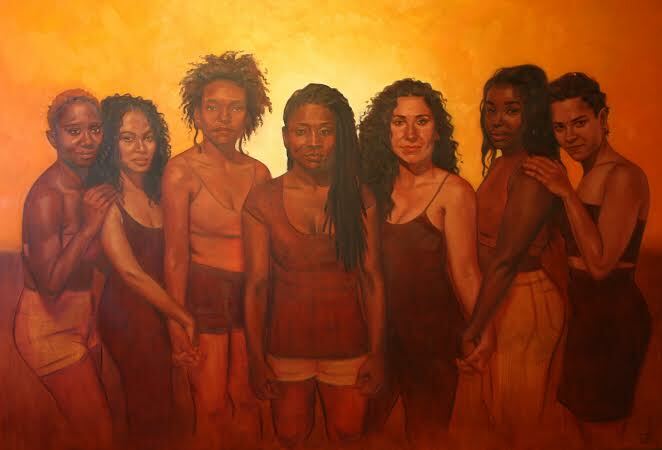 Jordan is a member of 3MW (Three Mixed Women), a collective of three mixed-race artists. She is also a recipient of funding from the Ontario Arts Council. In 2008, Jordan studied at the Academy of Realist Art in Toronto, completing the Drawing curriculum. In 2007, she graduated from the Ontario College of Art and Design, receiving a BFA. While attending OCAD, she was fortunate enough to participate in the off-campus studies program in Florence, Italy, 2005-2006.